The Beginners' Course has 18 members this year but it was oversubscribed and we hope to give taster sessions to those who were not on the course. 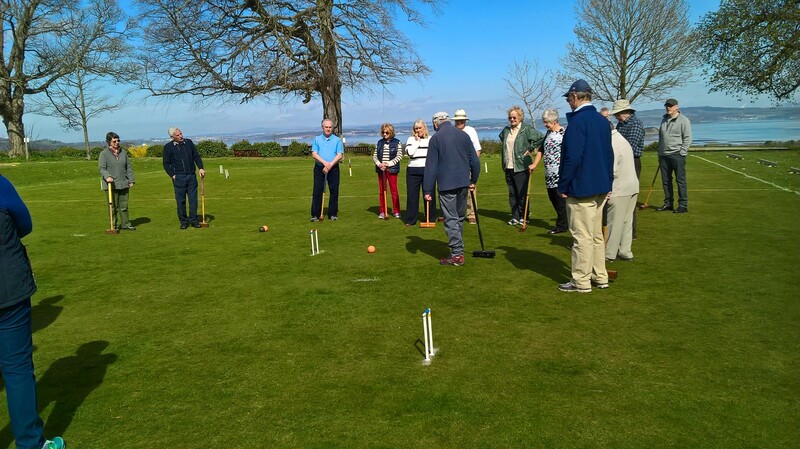 The weather was particularly good for the first Saturday of the season but the members of the course have far more important things on their minds. 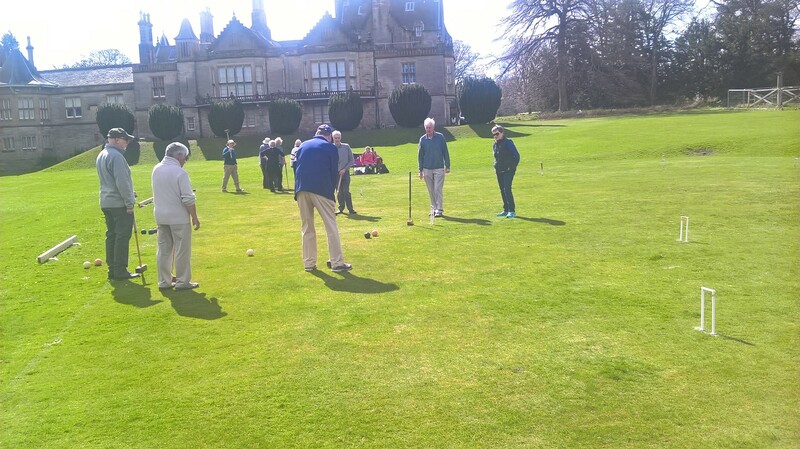 A light hearted start to the Association Croquet season saw Allan Hawke take the star prize of an Easter Egg! 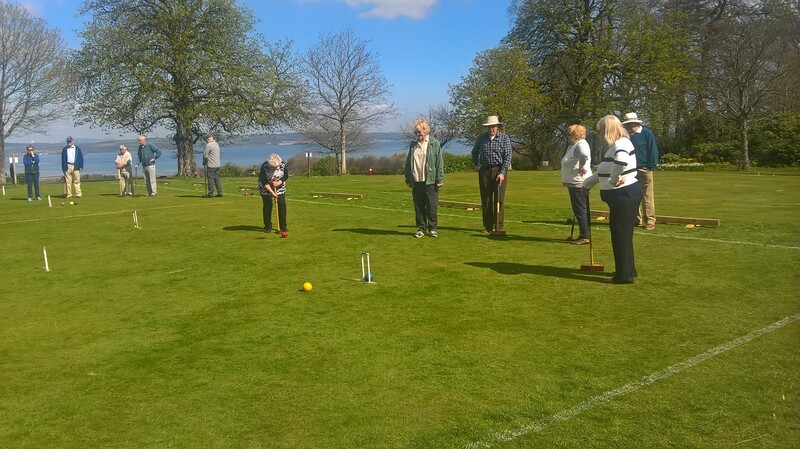 The Fun Doubles was played in fabulous weather on Saturday 30th June. It was won by Morven Cross and Norman Dall. 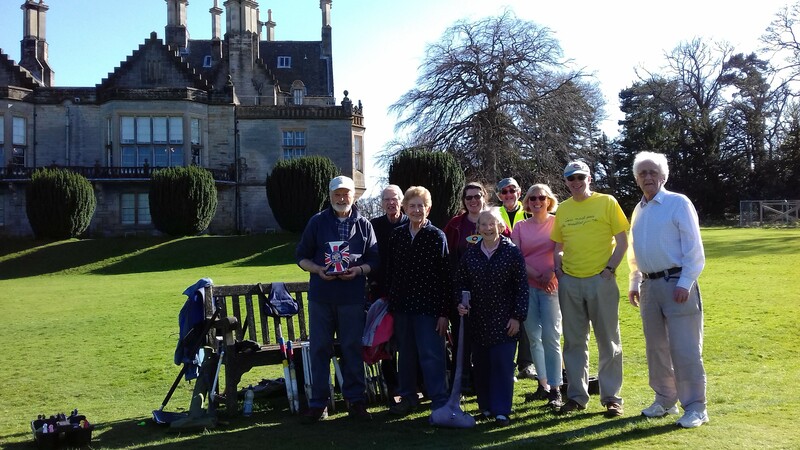 The Edinburgh Midweek Tounament was held at Lauriston on 15th August. There were 4 competitors: three from our Club and one from Glasgow. They played 18 point games (starting from hoop 5) and all played all. 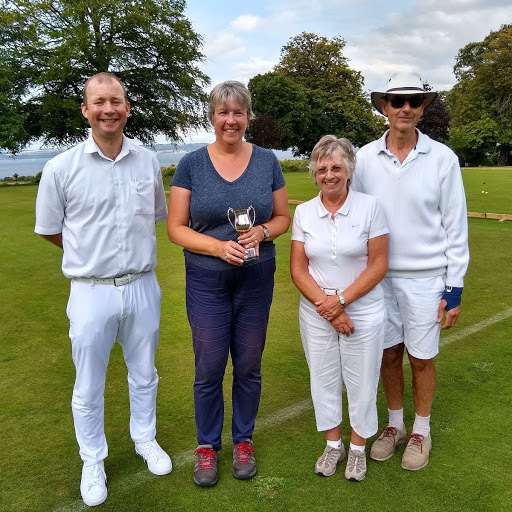 The result was that Kathy Brown, Robert Harvey and Stefan Colling (Glasgow) all had two wins - Halcyon Byres loosing narrowly to each of them. 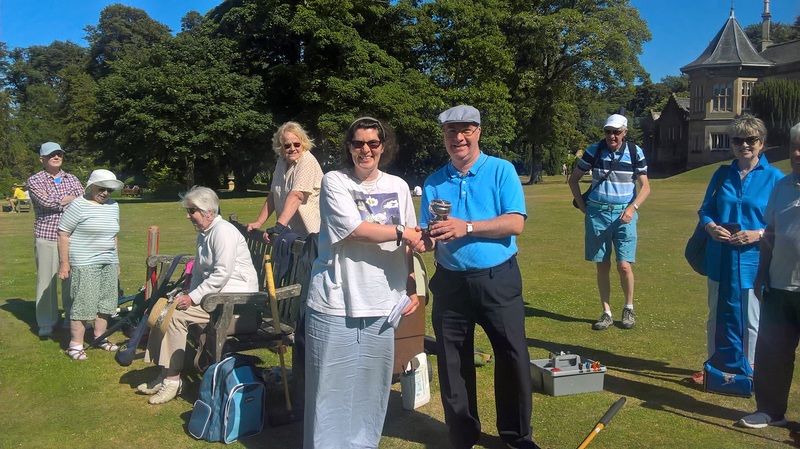 Kathy had the best net points difference so she was awarded the trophy.